The client wanted her 1980’s mauve bathroom turned into an Adirondack Mountain oasis. 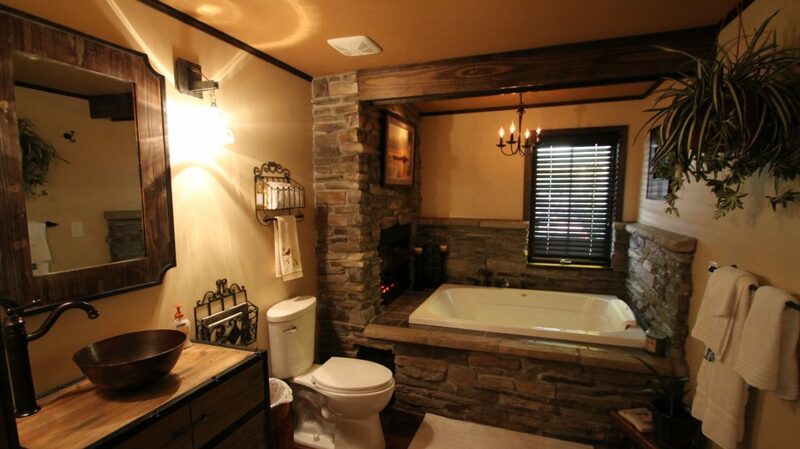 We repositioned the tub area and added a jacuzzi tub, added a stone surround and gas fireplace. We purchased a wine cupboard to use for the vanity, new fixtures, new plank flooring, a warm paint color, added a wooden beam to resemble a railroad tie and added soft lighting.